What do frogs, leaves, broccoli and money all have in common? There all green! 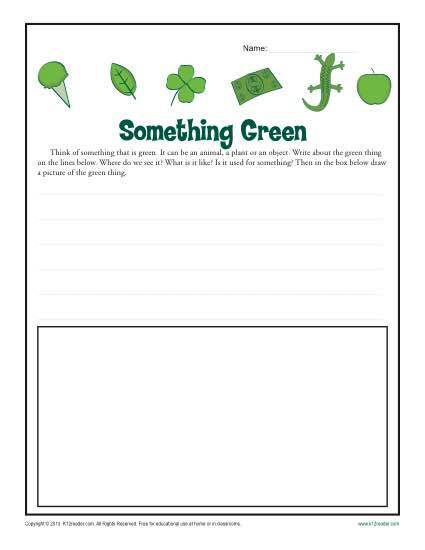 In this writing prompt your student will write about something green. It’s aligned with Common Core Standards for informational writing for kindergarten. Other students may also find it a fun way to practice writing skills.